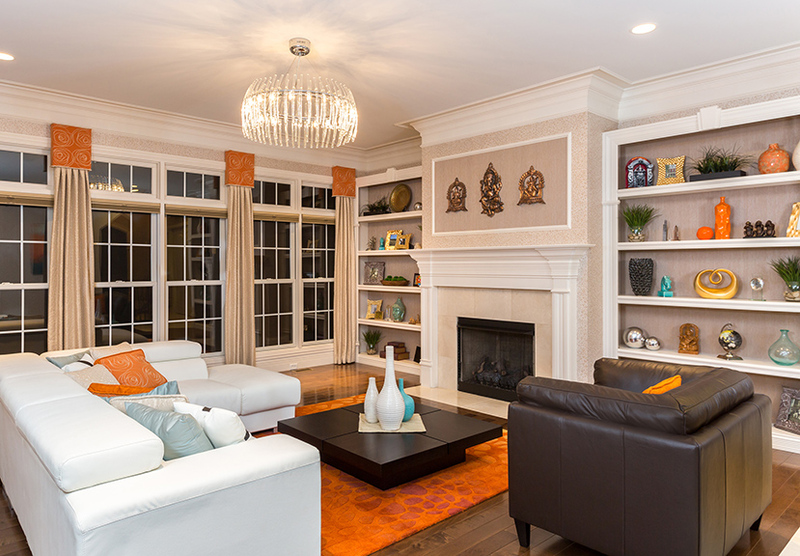 Splashes of orange are a refreshing change in a living room. 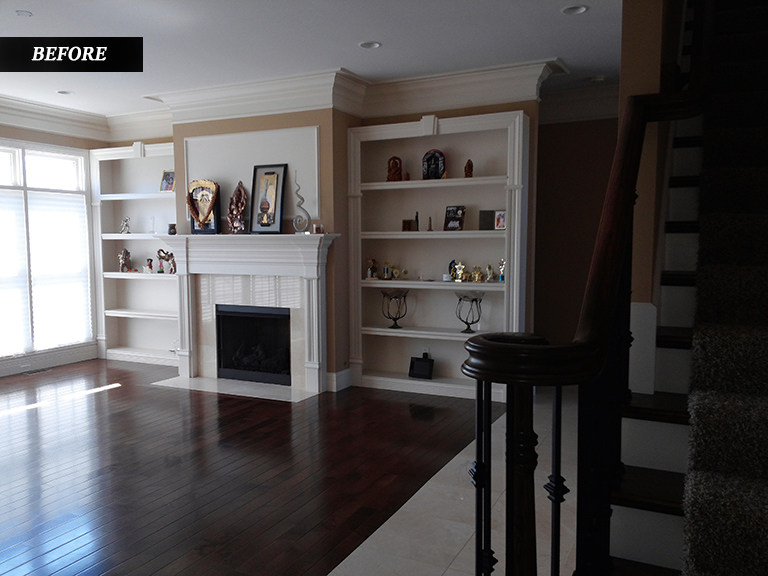 The color – or sometimes lack thereof – is the one thing that can be quickly, easily and often affordably changed. But so often, it stops homebuyers and homeowners in their tracks. Candice Wideman, owner of St. Louis design firm Youtopia Designs, approaches this issue often with her residential clients. And figuring that out is what makes interior designers such as Candice tick. From her initial consultation, she explains, it’s her job to determine what works. “I tell clients look through design magazines, go on Pinterest, go on Houzz; I ask them if there are any colors they hate, you know, absolutely can not have, and colors they love that they’d like me to incorporate,” she says. A refreshment she recently completed for Vani Kotaru’s Ballwin-area home showcases splashes of burnt orange, a bold hue chosen to mimic warm-bronze strokes Candice and the homeowner found in a wallpaper sample. "We kept it very simple," Candice explains of the eye-popping and intentional color additions. "The cornices on the windows...the area rug, but there were a few pieces of furniture to cover some of it, so it wasn't too much." Complemented by matching accent pillows settled on the contemporary leather couches and winks of bright aqua blue in coordinating touch pieces, the burnt orange living room is an exercise in subtlety. The greatest aspect of the room, however, is that should the homeowner decide in an instant that she hates the color orange there is a solution.